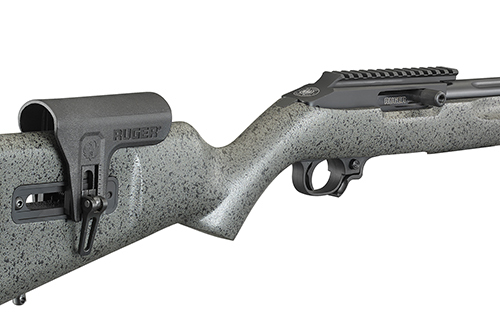 The 10/22® Competition Rifle features a hard-coat anodized, CNC-machined, heat treated and stress relieved 6061-T6511 aluminum receiver with an integral, optics-ready, 30 MOA picatinny rail. The custom receiver is paired with a heat treated and nitrided, CNC-machined match bolt to create a tight-fitting, smooth action that will enable the highest level of performance. The receiver incorporates a second bedding lug, ensuring it is securely bedded to the stock. 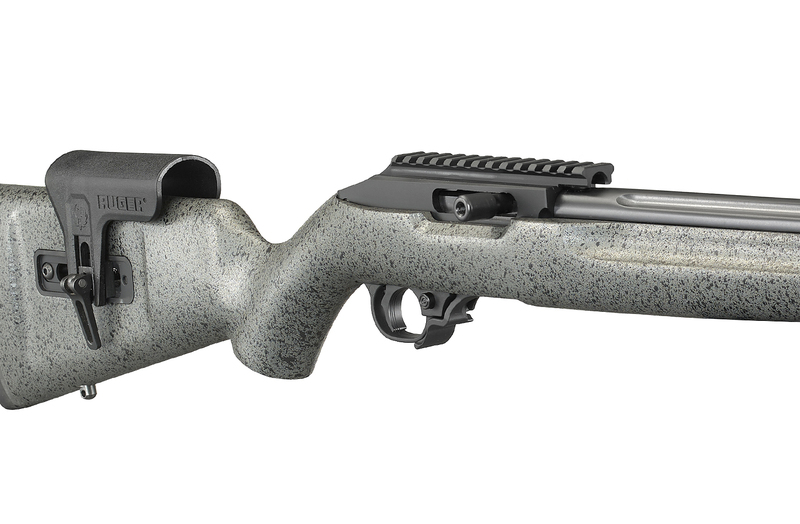 This rifle also features an exclusive second barrel locator to provide a free-floating barrel for superior accuracy. The receiver incorporates a rear cleaning port, providing access to the barrel from the rear of the receiver for ease of cleaning. The stock features a fully adjustable cheek rest, which can be repositioned horizontally and vertically to allow the customer to create a custom-adjusted feel that is stable, comfortable and repeatable. 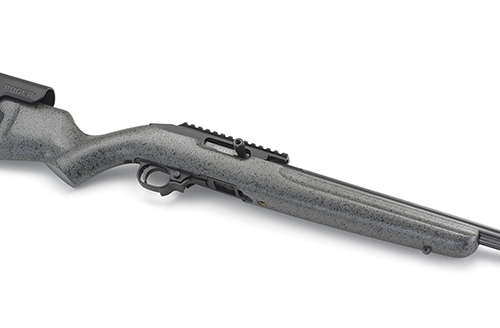 "The 10/22 has been a mainstay in our lineup for over 50 years and has seen countless variations. 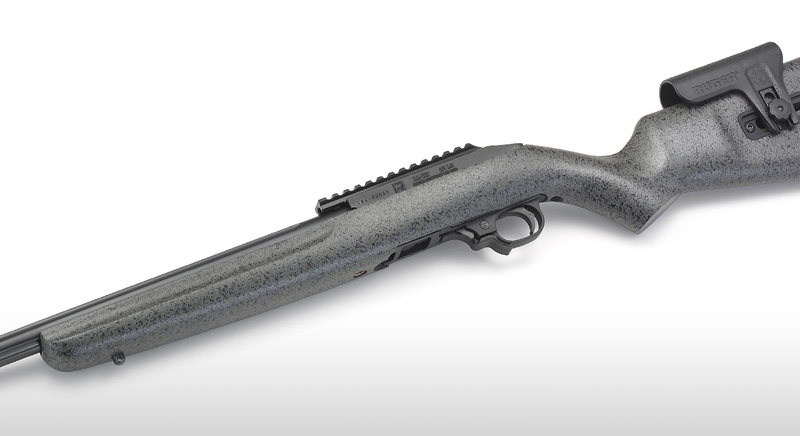 Our skilled team of engineers took a ground-up approach to further enhancing our proven design and taking the already legendary performance and reliability of the 10/22 to a new level."